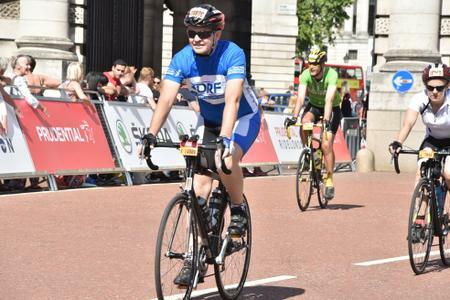 I’ve neglected the blog lately so it’s time to start catching up with things, starting with this, my round-up of my biggest cycle challenge so far, raising money for JDRF. 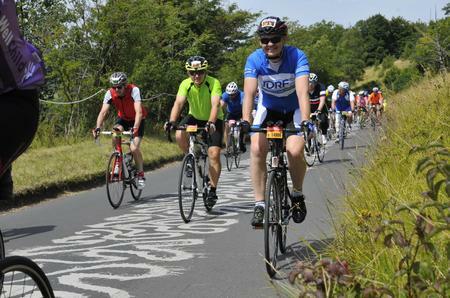 The Prudential Ride London Surrey 100 is a 100 mile cycle ride on closed roads, starting in London’s Olympic Park and heading through the city, out via Kingston towards the hills of Surrey before returning to London with the finish on The Mall. It’s certainly doable for a keen cyclist if you put the training in beforehand, bearing in mind that I could barely cycle 25 miles a couple of years ago. There’s two ways to get a place for RideLondon, either apply for a ballot place, or sign up for a place purchased by a charity. The charity route often means you’ll pay nothing up front but will commit to raise £500 or more. The ballot route means that you don’t need to raise any money for charity but you’ll pay a small fee – £50ish – if you’re lucky enough get ballot place. With only a 1 in 5 chance of getting a place many are forced to go the charity route. I was lucky in the ballot but still decided to raise money for JDRF, breaking the £500 mark once GiftAid had been added. Whilst no ballot place rider is forced to raise money events like this raise much needed millions for various charities and people realise that this is, for the amateur rider, an effort worth sponsoring. As the day came closer I got myself in a pickle: would I make the distance? ; would I be too slow? ; how would I get myself to London and back…and lots more. The biggest worry was whether I’d be fast enough in the early section, especially if I suffered a puncture or mechanical issue in the first 20 miles. I’d have 2hrs21 to make it to Hampton Court (26 miles) by 11am or risk being ousted by the dreaded ‘broom wagon’. I knew I could beat a 12mph pace as long as no mechanical issues arose. Waking up at 3am – there really was no point setting a 4am alarm! – people were already on Twitter, talking about loading up their bikes on the cars and generally getting excited. Nerves had dissipated leaving only excitement. I was in London by 5:50am, parking at Euston station which left me 7.5 miles to cycle to the start and importantly only 2.5 after I’d finished. I’d unknowingly parked next to another RideLondon first timer and we got ready together, each wondering what the event would be like. The cycle to the start through a relatively sleepy London was easy and relaxed. Starting 25000 riders off takes a long time so they do it over three hours, with waves or riders going off together a few minutes apart. I was in the orange ‘N’ wave, starting at 8:39am, along with a fellow member of #GBDOC, Midge. Midge and I talked for some time whilst edging forward towards the start line, both eager to get going. The DJ at the start span up Darude’s Sandstorm as we set off, which pleased me as others had departed to all manner of music I hate. The start was relatively mellow, quite slow until we got on to the dual carriageways towards the centre of London. The speed increased and increased again and I was buzzing along at a steady 20mph, that’s pretty quick for me. Midge and I seemed to play cat & mouse, one minute he was in front, the next it was me and suddenly he disappeared (probably way in front). They say you have to be able to average 11.75mph to complete the 100 miles in time, but the first cut-off is at 11am, 26 miles in. With my average riding pace being 13 to 14 mph I knew I’d make it, if I had no punctures, but I was very surprised to average almost 19mph over the first 26 miles, that’s way faster than my average. If you’d told me before I be so quick I would never have believed you. JDRF had 100 riders in the event and we all started at different times but we all shared a common ground in Type 1 Diabetes. Before we’d even set off I bumped into a couple wearing JDRF jerseys and had a very brief chat. 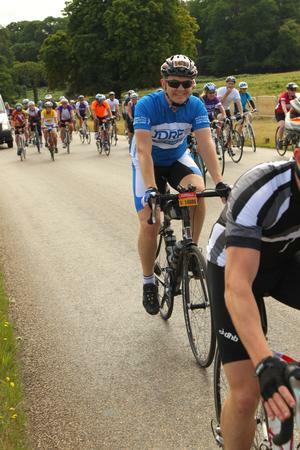 I decided at this point that I would make sure I cycled over to any and every JDRF rider I was cycling near at any point and I’m so glad I did, it mad the event so much more enjoyable. Within 5 miles I passed and chatted with another couple also wearing the team jersey, at mile 10 I rode alonside Rosie for few miles and was amazed that her ladies cycle team organised by Jenny Carr were all supporting a cause unrelated to their lives; much similar to all my friends joining in with Nightrider last year. Around 40 miles another JDRF jersey spotted, it was Adam and we had a great chat about insulin pumps, diagnosis, insulin and the “cure”. 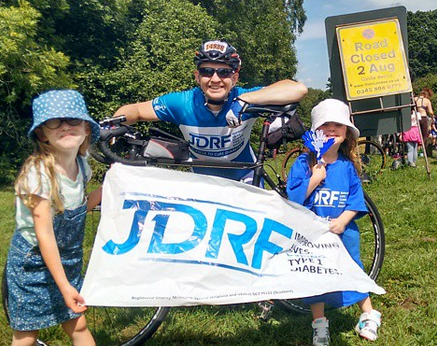 Team JDRF had their own set of cheerleaders at Newlands Corner, Dr Clare McVicker with her family were cheering us all on. It was lovely to stop and have a brief chat with Clare who got quite excited when I mentioned I was on Twitter and immediately I got a new follower. Before setting off from Newlands I met more of Jenny’s team and afterwards cycled all the way to Dorking with a lovely couple from Cardiff. A few miles later after a brief stop at Box Hill I cycled up to another JDRF rider. “Hello” I said “Nice jersey”. Quickly searching my memory and stalling for time by making out I had to steer around a stone or something, I embarrasingly couldn’t put a face to a name but luckily Paul introduced himself. Paul and I had chatted a few times online and we followed each other on Strava but I’m not I’d ever seen a picture of him – well that’s my excuse for not recognising him. Paul and I whiled away the miles chatting which was easy as we were similar speeds and very similar stories to share. Before we knew it we had covered over 30 miles together and finished on The Mall both with a 30mph+ sprint finish. 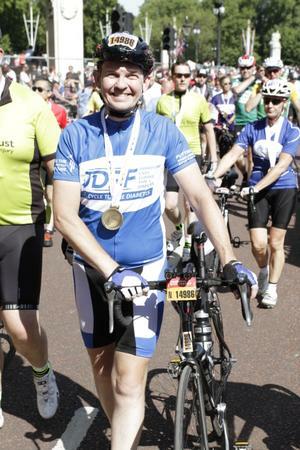 Being part of the JDRF team really made this event for me and riding with Paul was a big part of it. Given that this year I’ve ridden London to Paris with friends I can’t say Ride London was the best ride of my life BUT it’s pretty close. 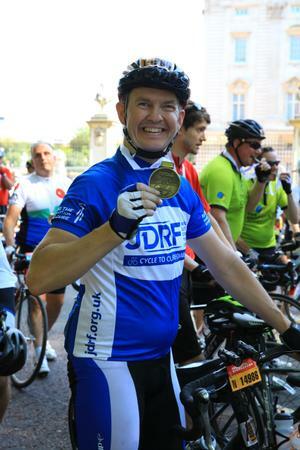 I met some wonderful people all supporting the Type 1 cause, I cemented a friendship which will last a long time, I rode 100 miles for the first time ever and raised a fair bit of money too. If you’re thinking of riding Ride London then I say do it, you won’t regret it.